Thousands of of sensitive emails were exposed to an outside intruder, reported Politico, who spoke to the officials on condition of anonymity. The emails of four senior aides were being monitored for months, an intrusion that was detected in April by an NRCC vendor, who told the committee and its cybersecurity contractor. 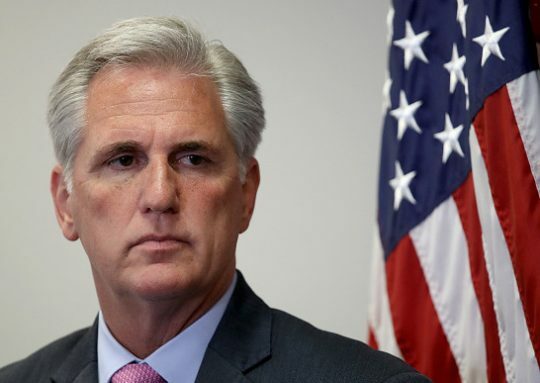 The committee conducted an internal investigation and alerted the FBI, but senior House Republicans like House Speaker Paul Ryan (R., Wis.), House Majority Leader Kevin McCarthy (R., Calif.) and Majority Whip Steve Scalise (R., La. ), did not know about the hack until Politico reached out for a comment on Monday. Party officials would not say when the hack began or who was behind it, saying privately they believe it was a foreign agent because of the nature of the attack. They emphasized donor information was not compromised. "The NRCC can confirm that it was the victim of a cyber intrusion by an unknown entity. The cybersecurity of the Committee’s data is paramount, and upon learning of the intrusion, the NRCC immediately launched an internal investigation and notified the FBI, which is now investigating the matter," said Ian Prior, a vice president at Mercury. Prior, who previously worked at the NRCC and Justice Department, is working with the NRCC to deal with the breach. "To protect the integrity of that investigation, the NRCC will offer no further comment on the incident," Prior added. This entry was posted in Politics and tagged 2018 Election, Cyber Security, Hackers, Kevin McCarthy, NRCC, Paul Ryan, Steve Scalise. Bookmark the permalink.